People I've talked to have no problem seeing introverts as effective writers, scholars, chaplains, even pastors in existing churches, but for some reason they get suspicious when I say that introverts can be effective church planters. In my continuing quest to prove otherwise, I asked my friend Jamie Arpin-Ricci to answer a few questions. Jamie Arpin-Ricci is a missionary with Youth With a Mission (YWAM) and a founder of a new church plant, called Little Flowers Community, in Manitoba. He is also a blogger, an author (currently working on an book on the Sermon on the Mount), and probably not surprising to my readers, an introvert. Adam: I've read a number of things that seem to discourage introverts from church-planting and that imply that extroverts are much more effective in that sort of risky ministry. Do you agree? Our ministry in inner city Winnipeg was established over 8 years ago with the intentional commitment to enter into the fabric of the neighbourhood as equals, earn the rare trust of people in the community over time. The church plant was the long-term fruit of those carefully nurtured relationships- in fact, the community approached us and asked us to be their church. In this way, the unique strengths of introvert leadership are essential. Ultimately, both expressions of temperament are necessary for effective church planting. This belief, in and of itself, demonstrates a need for leadership models that are collaborative and community based, as opposed to hierarchically drive, singular leadership. In ministry/mission dynamics from a team leadership perspective, the introvert/extrovert dynamic is perhaps the single hardest I have encountered, but also the one out of which some of the richest fruit has been born. Adam: How do introverts and extroverts work together on a church-planting team? Where do they struggle and how can they succeed? Jamie: While there are many aspects of introvert/extrovert interaction that need to explored, such as complimentary relational tools for different ministry contexts and time frames. However, an interesting dynamic has emerged in our own community. Much of the initial “team building” our community went through exposed deep-seated assumptions, fears and woundings relating to this temperament difference. The very act of reconciliation, restoration and mutual affirmation was itself formational for our ministry to the neighbourhood. Aware of the power of these differences and the impact both “sides” felt made our team more aware of similar dynamics among the marginalized in our community- socio-economically, racially, linguistically, etc. Essential to unity is the commitment to regular, intentional conversation about these (and other) differences. So deeply embedded in our way of living and relating, we cannot expect understanding and change to happen in a singular event. It takes time. In our community, many of the introverts play an essential role in creating contexts of stability and hospitality, while our extroverts extend that safe welcome to people in the community. The extroverts help the introverts to expand their social contact with the community, while the introverts bring nurture the soil of deep relationship that some extroverts find hard to create. The extroverts remind us of the often unsettling call to “go into all the world”, while the introverts help the community grow sustainably. This dynamic tension between the generative gifts and the sustaining gifts is difficult, but deeply rewarding to the whole. 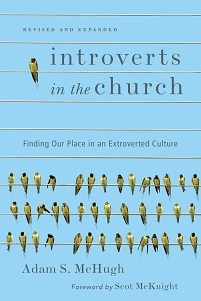 Adam: What strengths do introverts bring to church-plants? Jamie: Because introverts engage in relationships in ways different than extroverts, they can help new communities to nurture depth alongside the breadth more common of extroverts. The new growth of the community is essential (and a true gift of the extroverts), but these growing communities can easily become social groupings of constantly changing and expanding encounters. The drive of introverts to go deeper both compliments and counter-acts the growth brought by extroverts. Early in our church plant, we saw how the gatherings might end up being nothing more than short lived social events, so our introverts began to nurture an environment and practices that pushed beyond that. The introspection common to introverts can also make them invaluable in the complex decision making processes. Further, that their introspection takes more time and consideration, they can help set a sustainable and careful pace for the community. Church plants require a lot of time and energy, leading more than one church planter to burn out in very little time. 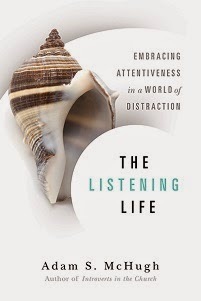 A healthy introvert reminds us of the need for the personal and private disciplines of silence, meditation and rest. In a culture where success is often equated with speed and growth, introverts can remind us that we follow a different standard of success in the church. Of course, all of these strengths can also become weaknesses and extremes, thus making the need for diverse, complimentary teams. This can only happen when we can get past token affirmation of differences and allow the difficult tension on both sides to bring us together as iron sharpens iron. I'll be posting part II later this week, so be sure to check back. I also have an email I want to post in the near future about a topic I addressed last week, Christian community and "passion." If any of you are attending Catalyst West, I hope to meet you there!